Stephen King lived his own amazing story. He travelled back in time to the year 2000 in order to write the first massively successful ebook. Or something like that. I just discovered Stephen King actually released the first mass-market ebook over 10 years ago, and within 24 hours he’d achieved an amazing 400,000 downloads! In the story, a young man has a strange adventure while hitchhiking to the hospital bed of his sick mother. (Fans may remember the novella, which was called Riding the Bullet, and is still available as a Kindle ebook.) Stephen King’s profits may not have set a record, since according to Business Week more than 90% of those readers downloaded that book for free. But Stephen King still remained a pioneer in ebooks, and nearly three years ago, he finally read his first book using the Kindle. 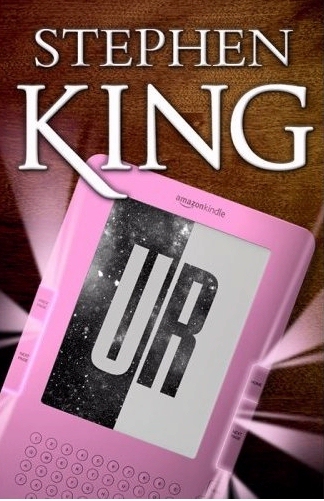 That story is called Ur (and you can still download it to your Kindle for just $3.19.) “At the time the Amazon request came in, I’d been playing with an idea about a guy who starts getting e-mails from the dead,” King wrote in Entertainment Weekly. 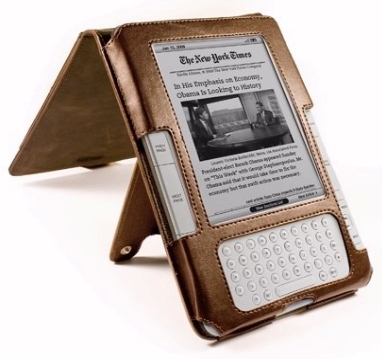 “The story I wrote, Ur, was about an e-reader that can access books and newspapers from alternate worlds.